Where You’ll Find Me Today . . . | My Journeys Through Life . . . Herding Cats In New Mexico! Where You’ll Find Me Today . . . 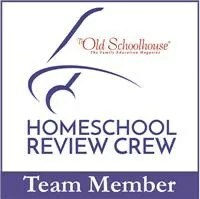 I am being featured in the Crew Spotlight today, on the Schoolhouse Review Crew Website. You’ll find me sharing about homeschooling being a lifetime commitment, as opposed to a “season in my life”, and I sure hope you’ll find it interesting and informative. 🙂 To go and check out what I have to say on this topic, please click below, and while you’re there, check out the rest of the site as well!